Very pretty mini skirt with ruffles and high waist elasticated smock waistband. Cut from a refined soft stretch lace. Fully lined for coverage. 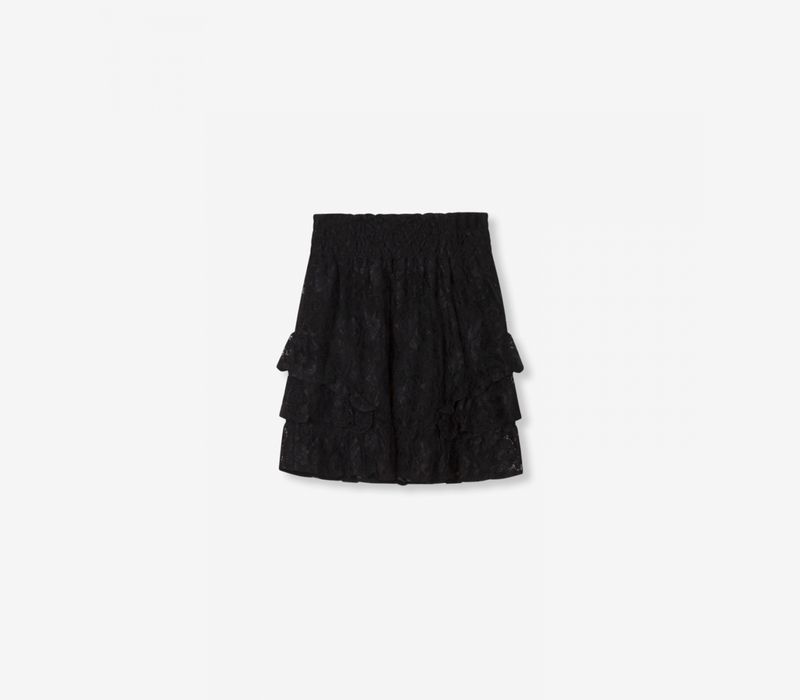 Flared skirt with high waist smock waistband for a comfortable fit. Length is well over the hips.